FAYETTEVILLE, Ark. – No. 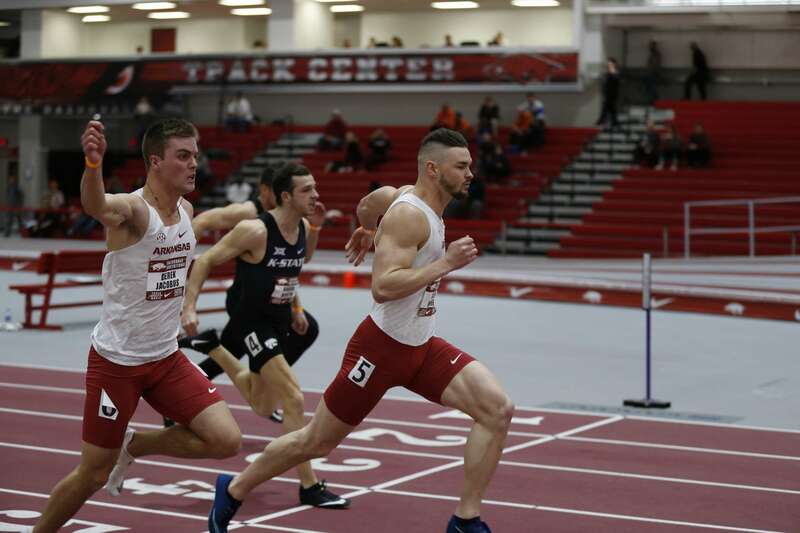 12 Arkansas concluded the two day Razorback Invitational with a third-place finish scoring 74-points on the weekend at Randal Tyson Indoor Track. “We definitely had some bright spots,” said head coach Chris Bucknam. “We’re not usually in this position, we’re usually batteling for that team title. what you saw this weekend is what we have and we’re going to have to work hard to keep improving as a total team. it was a good exercise to see where we’re at. I’m glad we kept those team scores, hopefully, we can improve across the board in all events and try to get closer to a team like Florida and hopefully improve on some national marks and get some qualifiers as well. got a lot of work to do, but we’re young and a little inexperienced but there are some bright spots in there we just have to work hard to try and get better each and every week,” Bucknam finished. Continuing the action from yesterday, Gabe Moore and Derek Jacobus finished the men’s heptathlon with the duo finishing first and third, respectively. Moore finished with marks of 8.17 seconds, 4.25m (13-11.25), and 2:43.17 in the 60-meter hurdles, pole vault, and 1,000-meters to win the heptathlon with a two day total of 5,865-points that falls just nine points shy of his personal-best. Moore currently leads the NCAA in the event. Cameron Griffith added his name to the sub-4 club as he clocked a time of 3:59.68 in a second-place finish. Griffith is currently ranked No. 5 in the NCAA in the event. Jacobus’ third-place finish was sparked by a personal-best mark in the pole vault as the senior cleared 4.75m (15-7) for 834-points. Jacobus is currently No. 4 in the NCAA in the event. 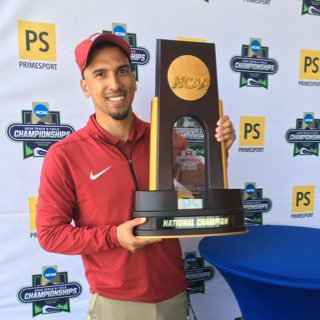 Josh Olgesby made his Arkansas debut scoring in the men’s 60-meters. Olgesby qualified with a personal-best time of 6.79 and followed with a 6.83 in the finals to finish eighth. Fellow freshman Tre’Bien Gilbert represented Arkansas in the men’s 60-meter hurdles qualifying for the final with a time of 8.01 before recording a personal-best of 7.85 for sixth-place. Sam Kempka took sixth in the men’s shot put with a best of 17.17m (56-4). Gilbert Boit and Austen Dalquist turned in season-best marks in the 3,000-meters with their times of 8:01.63 and 8:07.09, respectively. Boit is currently ranked No. 12 in the NCAA in the event. Jalen Brown scored in the 400-meters turning in a fifth-place finish in the event running a season-best time of 47.02 that is currently No. 19 in the NCAA. Kieran Taylor posted a personal-best in the 800-meters that is currently ranked No. 16 in the NCAA as he crossed the line in 1:49.46 followed by teammate Hunter Woodhall who lowered his PR from 1:58.04 to 1:50.68 for an eighth-place finish. Arkansas will return to the track next weekend as they travel to Albuquerque, N.M. for the New Mexico Classic Feb 1-2 at the Albuquerque Convention Center.